The 2nd of July saw the presentation ceremony for the 57th FAD Architecture and Interior Design Awards, organised by FAD’s Interdisciplinary Association for Spatial Design, ARQUIN-FAD. A total of 458 projects were entered for 2015, from which the 16 finalists were selected by a jury in May, with four finalists in the international category. The jury, chaired by architect Victor López Cotelo, included Ignasi Bonet, Agustí Costa, Mònica Rivera, Mariana Pestana and Gabriel Valeri. The jury for the FAD International Award, now in its second year, was chaired by Oliver Thill with Ethel Baraona and Andrés Jaque as members. The entries submitted were from Spanish and Portuguese firms involved in work carried out on the Iberian Peninsula, with the international award for projects planned here and constructed elsewhere in the world. 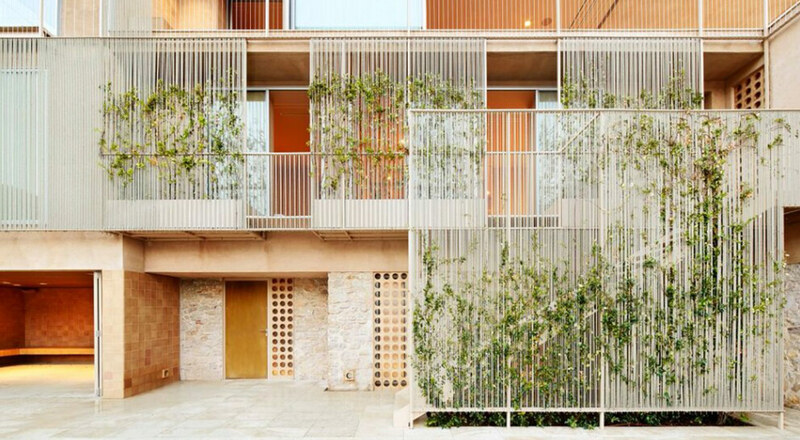 The joint winners of the 57th FAD Architecture Award were Casa Bastida in Begur (Girona), by Ramon Bosch and Elisabeth Capdeferro, and the Ozadi Tavira Hotel in Tavira (Portugal), by Pedro Campos Costa. On the Bosch-Capdeferro house, the jury commended ‘the outstanding improvement in integrating the existing building within its privileged setting’, and how ‘the boundaries between construction and nature are blurred by light supportive elements of natural vegetation, which, in addition to increasing intimacy, provide protection from the sun and improve the relationship between interior and exterior space’. With regard to the Pedro Campos Costa hotel, the judges praised the ‘intelligence and sensitivity of planning, highlighting the values of the original construction’. The City and Landscape award went to the access improvements for the Vitoria-Gasteiz historical centre, by Fernando Tabuenca and Jesús Leache. The Interior Design award went to the São Paulo Library in Apelação (Portugal), from Patrícia Marques and Paulo Costa, while that for Thought and Criticism was shared by Desierto magazine, from Gabriel Ruiz-Larea, Nuria Úrculo and Natalia David; and Quaderns d’Arquitectura i Urbanisme, by José Zabala, Ethel Baraona, Guillermo López and Anna Puigjaner.